"In bike trips as in life, sometimes the detour becomes the tour." So begins the wise-beyond-his-years musings of twenty-year old author Brian Leibold in this witty and discerning narrative about a two thousand mile bike trip through Montana,Wyoming, Idaho, Utah and Arizona. 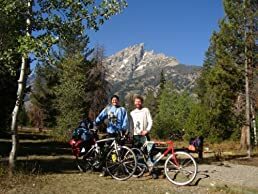 Peppered with vivid and genial descriptions of the colorful characters he met on the road and framed by the rules he and his cousin developed along the way, The Rules of the Road: A Biking Vagabond in the American West is more than a travelogue. It is the story of a young man's uphill climb toward self-discovery. Brian Leibold discovers how much there is to learn from the road. Along the way, he learns about farming, Mormons and hitch-hiking. He also learns about integrity, the value of solitude and the awe that beauty can inspire. Most importantly, he learns to accept and celebrate his own restless heart, offering a guide to others who feel the same irresistable pull toward The Road.